Prepare cheque and cash payments and ensure that all payments have adequate supporting documentation and authorisation. Perform Banking: Bank reconciliations of ARDD accounts. Maintain the finance files and ensure that documents are filed correctly and in a timely manner. Ensure a complete and accurate record of all petty cash transactions is maintained at all times; that expenditure of petty cash is accurate and adequately supported and approved; and that requests for replenishment are made in a timely manner as required. Ensure that the Balance Sheet Accounts are reconciled monthly. Verify the accuracy of the fixed asset register prepared by logistics on a monthly basis. Any other tasks that may be assigned from time to time. Performs other related duties as assigned by the Direct Manager Head of Department. Bachelor degree in Economy or degree in Accounting or Finance. From 1 - 3 years’ experience in Finance and accounting. Ability to maintain financial requirements within the development sector. Computer literacy in word processing, spreadsheets and presentation software, excel and oracle. Manages resources and deadlines with minimum supervision. Strong organizational skills, detail oriented with ability to produce accurate work under tight deadlines. Ability to adapt to a fast changing environment and numerous, conflicting job requirements. Ability to speak read writes and work in English and Arabic. Proven experience working in a similar role in a small finance team. The Arab Renaissance for Democracy and Development (ARDD) is currently seeking a dynamic Program Development Officer to develop and expand the existing programs and projects. The successful Program Development Officer will be responsible for actively raising funds from current and prospective donors, with the aim to meet the organization’s annual priorities and targets. Provide guidance and advice to the project team and partners for quality delivery of projects and programs, and documenting learning. Manage project and program evaluations. 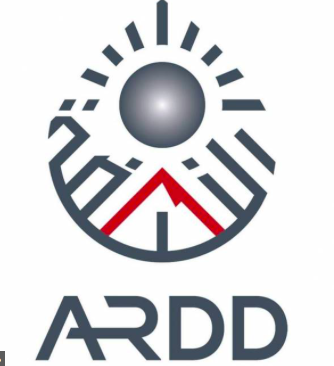 Ensure that all projects are implemented on time and with the intended outputs, in close coordination and cooperation with ARDD’s relevant departments and in particular with ARDD’s Monitoring and Evaluation Officer. BA in Human Rights, Social Science, Management or related field. Experience in proposal development and grant management. The M&E Officer is responsible for the monitoring of project activities and ensuring that projects maintains its strategic vision and that its activities result in the achievement of its intended outputs in an accountable, cost effective and timely manner. Performs other related duties as assigned by direct Manager. Good knowledge in Monitoring, Evaluation, Accountability and Learning. Facilitate the implementation of the project’s action plan through coordination with associated ARDD teams, district and provincial Government agencies and people in target areas. Performs other related duties as assigned by the Direct Manager. Partnership organizations to coordinate the implementation of the project. Willingness to work flexible hours and to travel frequently to the field/remote areas in the project sites. Writing, reporting, training, speaking, presenting, skills. Responsible for managing the projects, projects staff, and ensuring the implementation of all projects activities according to the action plan. Responsible for communication and coordination with project partner. Project includes coordination with high-level stakeholders as well as direct community-based work. Set, develop and ensure the implementation of the action plan and the MEAL plan for data collection analysis and evaluation. Facilitate the community need assessment, identify technical needs for the team, and organize related technical support. Meet on a regular basis to provide project updates and share relevant information. Visit organizations and conduct mission to field as necessary in consultation with Unit Manager. Coordinate logistics for all projects training courses, seminars and workshops. Assist in arranging programs for in-coming and outgoing official missions. Follow up with the implementing partners and sub-contractors for progress report, submission of reports and recent data on target group and other information material. Collect data from the implementing agencies and obtain information materials, publications, newsletters, etc. Review data and information generated by the Projects’ implementing agencies and prepare information materials for briefing and review sessions. Performs other related duties as assigned by the Department Head. Education business administration – international development – gender studies or any related field. Strong understanding of the Jordanian context, particularly in relation to education and the Syrian refugee crisis. Skills in project management assistance, writing, translation and problem solving. High level and experience of Knowledge of Project Management skills. 1 التعليقات على " مطلوب تخصصات المحاسبة - المالية - العلوم الاجتماعية - الادارة - MIS - التنمية الدولية للعمل لدى جمعية النهضة العربية للديمقراطية و التنمية"